The Chinese government has reportedly banned the sale of Bibles at online bookstores across the country to comply with a "white paper" that is dictating compliance with the "core values of socialism." Australia's ABC News reported on Wednesday that copies of the Gospels have been disappearing from online retailers following the release of the "China's Policies and Practices on Protecting Freedom of Religious Belief" document. The white paper in question declares that Chinese faith communities "should adhere to the direction of localizing the religion, practice the core values of socialism, develop and expand the fine Chinese tradition and actively explore the religious thought which accords with China's national circumstances." The document also states that the next five years will see an effort to build up Chinese Christianity and the Chinese theology to "consciously develop Bible study talents to lay a solid foundation for reinterpreting and re-translating the Bible or writing the reference books." "This is a lot like something China would do — the Communist Party teaches atheism and since Xi Jinping is becoming increasingly powerful — this is expected," he added, referring to the Chinese president. 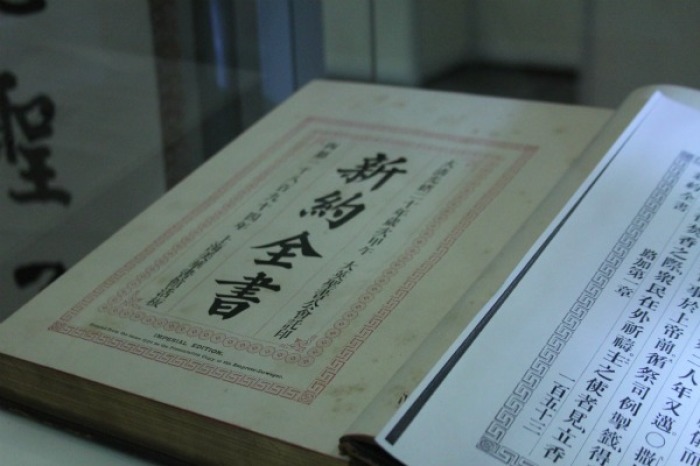 Catholic news source UCA News reports that there has been a long-standing rule preventing Bibles in China from being sold over the internet, but the directive had been allowed to slide for years. "It can only be sold in churches that the government permits — it looks like the government has started to take the matter seriously," noted an observer, who wasn't named. William Nee, a researcher for Amnesty International, said that all people need to be allowed access to the Bible, however, urging the government to reverse the ban. "For a government that just yesterday claimed to be supporting religious freedom, it is ridiculous that the core book of a major world religion — the Bible — cannot be found on the major Chinese e-commerce platforms," Nee said. Although China claims that it allows religious freedom, it has been carrying out a crackdown on underground churches and Christian activists for years, including an ongoing church rooftop cross removal campaign that has targeted sanctioned churches as well. Father Joseph, a priest in the underground church, told UCA News that the Communist Party has final say on all religious matters in the country. Christians in China have been following the developments from the Communist Party, such as the recent move to eliminate presidential term limits, allowing Xi to stay in power indefinitely. In March, a Christian woman was arrested after traveling to Beijing and attempting to preach to Xi, holding a sign before the former imperial garden stating that God is "calling out" to the president. The woman, Zhou Jinxia, from Liaoning province, was escorted by police back to her hometown in Dalian following the incident, and a day later was detained by local police.